A photo of a lone man with his arms folded as hundreds around him perform a salute in Nazi Germany has resurfaced. The snap, taken in 1936, shows August Landmesser defying the status quo as he witnessed the launch of a navy training vessel in Hamburg. Landmesser himself was not identified until 1991, the Washington Post reported, after one of his children saw the picture in a German newspaper. The picture came to light again after a blog, launched to support the victims of Japan’s 2011 Tohoku earthquake, shared it on a Facebook page, presumably as a symbol of inspiration for those still suffering in the aftermath of the disaster. A comment accompanying the Landmesser picture posted on Facebook said: “We know little else about August Landmesser, except that he had two children. Landmesser was a former member of the Nazi party but came to oppose Hitler’s regime afterfathering children with a Jewish woman. 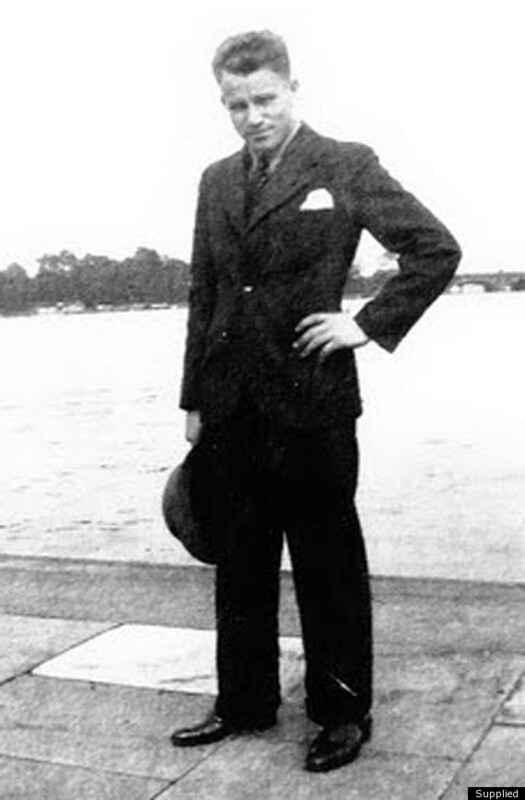 He was found guilty of “dishonouring the race” under Nazi law and bravely revealed his rejection of the doctrine at the launch of the Horst Wessell at Blohm + Voss shipyard. Landmesser and his wife, Irma Eckler, were jailed by the Gestapo and their children were sent to an orphanage. He was freed from prison in 1941 but was soon drafted into the war. He was later declared missing in action and was presumed dead.